To date, there have been ten volumes published in Continuum's Live Theory series. The series consists of critical, but introductory books about influential contemporary cultural theorists and philosophers. 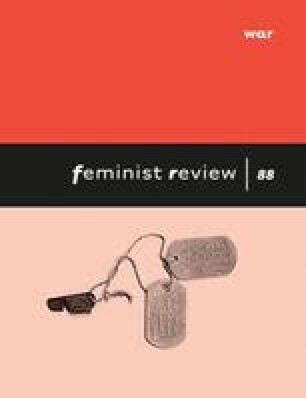 Half of the books published so far engage specifically with a feminist scholar, and the entire list consists of books on scholars influential in the field of feminist scholarship: Jean Baudrillard, Judith Butler, Noam Chomsky, Hélène Cixous, Jacques Derrida, Donna Haraway, Fredric Jameson, Julia Kristeva, Gayatri Chakravorty Spivak, and Slavoj Žižek. In some cases the authors of the volumes are among the theorist's most severe critics. This is the case, for instance, with the book on Butler, which is written by Australian feminist Vicki Kirby. Live Theory exists alongside series such as Routledge Critical Thinkers or Continuum's Guides for the Perplexed: introductory texts focussing on one contemporary theorist, mainly feminist or postcolonial philosophers or theorists from the humanities. As a relatively young series Live Theory has been able to arrange quite a line-up, and as such, it has the potential of becoming an important player on the academic publishing market. The three books reviewed here are Donna Haraway Live Theory, Julia Kristeva Live Theory, and Hélène Cixous Live Theory. Donna Haraway Live Theory came out in 2005. The text is written by Joseph Schneider, a US-based sociologist whose earlier work includes writing and teaching on Haraway's work. One of his texts engages with Haraway's diffraction in ethnographic methodology. Diffraction is one of Haraway's innovative concepts. It is introduced so as to avoid the categories ‘original’ and ‘copy’ that form the basis of reflection. It engages with a prism rather than a mirror, and focuses on the ‘event’. Schneider has set out to publish a lively introductory book on a playful theorist that strengthens the desire of the reader to go directly to Haraway's writings (Schneider, 2005: 1). Julia Kristeva Live Theory was published in 2004, and was written by John Lechte and Maria Margaroni. The short introduction to the book is co-authored, while the rest, including an interview with Kristeva, is authored by Lechte, a sociologist at Macquarie University in Australia. Margaroni is a literary and cultural theorist from Cyprus. Both authors have published elsewhere on Kristeva. Julia Kristeva Live Theory offers an introduction to Kristeva's more recent writings, and aims to reassess her earlier texts. As such the aim of this volume is to intervene in the debate about Kristeva more than to produce an introduction for prospective and junior scholars. An important scholarly contribution can be found in the chapter on Kristeva's revisions of the Oedipal complex. Lastly Hélène Cixous Live Theory. This text is co-authored by Ian Blyth and Susan Sellers, who are academics in literary studies based in Scotland. Sellers has been writing on Cixous since the 1980s, and has edited both a reader on Cixous and one of the volumes on Cixous’ renowned 1980s doctoral research seminars at the University of Paris VIII. This book, published in 2004, focuses on écriture féminine, and visits the distinct disciplines with which Cixous has been involved (e.g. philosophy, fiction, theatre). In this review I will concentrate on the differences and similarities between these three volumes of Live Theory. Differences are mainly to be found in the tones of the volumes. Reading the three volumes through one another has enabled me to reflect upon Live Theory's signature as well. It is important to mention right away that initially, the signature is hard to find. The inclusion of an extensive and lengthy interview with the theorist in question is not in itself enough to make the series distinctive; I was looking for a qualitative element that would clarify what exactly the concept ‘live theory’ would be adding to the textbook genre. Reading the volumes has made me understand that ‘live theory’ is an exciting concept, although it does not necessarily prevent the authors from falling into the genre's well-known trap of producing an unsituated and linear narrative. I will argue that the Live Theory texts seemingly challenge a Theory/Life divide, only to partially reinstate it in the end. The format of the books is the same in all three cases: in addition to the interview, the books contain between three and five thematic chapters which focus on the ways in which a certain theme or element in the work of the theorist in question has developed over time. This is a potential selling point of the series as it might help authors, and readers, to focus; an overview of the (wide) range of topics a certain theorist has struggled with is offered in less than 200 pages. The aspect of ‘live theory’ that is developed here is live theory as ‘the life of theory’. But this is not necessarily unusual for textbooks, and therefore cannot be all that is meant by ‘live theory’. I am not arguing that the individual chapters are not good. One of the chapters in Donna Haraway Live Theory that exemplifies the longitudinal outlook describes and theorizes Haraway's move away from the cyborg and towards companion species. Here Schneider discusses Haraway's manifestos – the 1980s Cyborg Manifesto and the recent Companion Species Manifesto – as well as the switch from the one figuration to the other. The chapter benefits from a diffractive reading strategy: the two texts are not compared, but read through one another. As a result the specificities of both texts come to the fore, and readers become acquainted with the intricacies of both figurations. Blyth and Sellers, to provide another example, introduce Cixous’ écriture féminine by starting off from the early, much-used and abused text ‘Sorties’, and discuss both the text and the way it has been received throughout the years. In the three books under review the interview or interview material/personal data as such, remains somewhat sidelined, although the interviews do also contain helpful and much-welcomed clarifications of theoretical choices made by the theorist. Yet, for ‘live theory’ to become an important concept, an additional step would need to be taken. It would have been more innovative if the interview material had been used in such a way as to be woven into the text. The latter option of taking life and theory to be intrinsically connected – ‘life as theory’ or ‘lived theory’ instead of adding an interview (life) to the body of the text (theory) – is not always chosen in the three volumes under review; interview material is for the most part simply added to the body of the book. Schneider's text on Haraway comes close to making this connection, because published interview material is at times referred to in theory chapters and it also forms an important part of the book's extensive bibliography. Hélène Cixous Live Theory also occasionally refers to previously published interviews in the body of the text. The three books are quite diverse in style, tone and standpoint. Although I find Julia Kristeva Live Theory to be the least appealing for students, it is the one volume that does reach out to the larger scholarly community. This volume presents new and innovative readings of Kristeva's work, while staying within the constraints of academic writing. The two other volumes are strong insofar as they try to present sometimes inaccessible theoretical work in an accessible way. Donna Haraway Live Theory brims with enthusiasm, and takes students on an exciting journey through Haraway's writings. Hélène Cixous Live Theory has adopted a particularly open approach, and is highly accessible due to its straightforward use of language. The different tones of the books can be summarized as follows: Schneider's text on Haraway is a bombardment of enthusiasm written in a very affective manner; Julia Kristeva Live Theory has adopted a much more traditionally academic style; and Hélène Cixous Live Theory is an exemplary case of a highly accessible textbook. In what way do the authors position themselves? Schneider, when discussing the work of Haraway, positions himself as both Haraway's and the reader's best friend. He presents himself as a family friend of Haraway who discusses the development of her thinking as well as the immediate needs of her two dogs during the interview. Next, Schneider directly addresses the reader and gives voice to his assumed knowledge of what students need. His encouragement to go and read for yourself what Haraway is writing is to be welcomed. Both Blyth and Sellers, and Lechte and Margaroni take a stance different from Schneider's and from each other. The latter couple has hardly written itself into the text. The text is thoroughly academic in style, and contains little reference to Kristeva's life. This is not to say that Schneider and Blyth and Sellers do not respect their objects of study; all volumes show an enormous respect for the theorist in question. But Lechte and Margaroni seem to have placed Kristeva on a pedestal, and seem to feel somewhat small in her (theoretical) presence. Blyth and Sellers, by contrast, have taken the middle road: they find themselves close to ‘their’ theorist, who is presented as a very generous theorist, fiction writer, and poet. These different styles, tones, and standpoints seem to open up or close down the possibilities for reflection on what I have called life as theory or lived theory. In sum, I find ‘live theory’ to be a potentially valuable term for textbook writing, which proves, however, hard to implement in such a way so that what makes it so strong is realized. ‘Live theory’ as ‘the life of theory’ works for the distinct chapters, but it does not necessarily prevent the authors from teleological projections. ‘Live theory’ as ‘lived theory’ could possibly be better elaborated. I think some further work needs to be done before it can be said to be a fully developed concept.